“Let me take this opportunity to thank the thousands of voters who supported our campaign from around our state. I would also like to thank all of my family, friends and colleagues for their support, prayers, and encouragement. “As we have said for more than four months, the Secretary of State position is of vital importance. Now more than ever, you can see the chaos and confusion that occurs when election security is threatened. We are seeing challenges in Florida, California, and several other states that, if not checked, will place the democratic process in severe jeopardy. This is unacceptable. We cannot allow this here in Louisiana. “This past election has been hard-fought and challenging. But, make no mistake about it – it is time to move on. “As Republicans, we have the opportunity to move forward together. I have personally spoken with Kyle Ardoin. He has assured me that he has every intention of providing first-rate protection over our election process, fighting against voter fraud, and keeping voter security as a top-priority. As we noted last week, this has a lot more to do with Edmonds’ future prospects than Ardoin’s, as the latter was a sure-fire winner of the Dec. 8 runoff no matter what Edmonds was going to do – his opponent, Gwen Collins-Greenup, has no money for TV ads or get-out-the-vote efforts and isn’t particularly well suited to reach 50 percent of the vote. She’s in precisely the same situation fellow black Democrat Derrick Edwards was in for the runoff in last year’s special election for Treasurer – only this one is worse, because while Edwards had the runoff in the New Orleans mayor’s election to skew the turnout his way, Collins-Greenup has a runoff election for mayor of Shreveport which is likely to do far less for Democrat turnout this year. Ardoin is going to win with upwards of 55 percent, and he was going to do that with or without Edmonds. But the muckety-mucks within the Louisiana GOP are going to be deeply gratified to see the endorsement nonetheless, because if there’s one thing the party likes to see it’s all the folks coming together behind its candidate in the runoff. Which is why this is about Edmonds more than Ardoin. As we said last week, he needed to make this endorsement. That decision has made for a real problem for Edmonds vis-a-vis the rest of the party. Here at The Hayride on Friday, party chairman Louis Gurvich noted his distaste for the internecine brawling the primary descended into, and while he didn’t mention Edmonds’ name it’s clear who Gurvich was talking about. 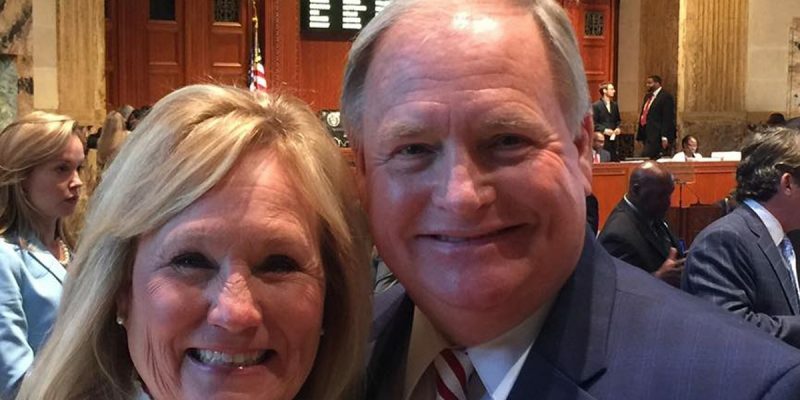 So that makes Edmonds, who has been one of the most stalwart conservatives in the Louisiana legislature and therefore one of the favorite sons of the GOP up until this race began, something of an outcast at the moment. And like Stokes, Edmonds has a re-election race coming up next year. That presents him with a real problem, because not only does he not have a campaign war chest ready for that race but he starts out $170,000 in debt. So if you’re a Republican donor and Edmonds approaches you for a check to fund that re-election campaign, the first thing you’re going to think of is he’s going to pocket anything you give him rather than spend it getting re-elected. This thought, which every well-heeled donor will harbor because that’s what they would do in Edmonds’ circumstances, will have a tremendously negative effect on his ability to raise money. And a provocative effect on potential challengers he might face. It’s unlikely you’ll get a better conservative than Rick Edmonds, even in what is a deep red legislative district. Before Edmonds, that seat was briefly held by tax-raising RINO Darrell Ourso, who might well run against him. Ourso will have a good $75,000 or more to make that race, and Edmonds would be more or less dead in the water without a war chest of his own. You’d say that the institutional players, like the party or LABI or the Louisiana Family Forum, might jump in and help Edmonds in a race like that – but the party isn’t helping Rick Edmonds if he doesn’t endorse Ardoin. And if it’s not just Ourso but another challenger who presents himself or herself as a solid conservative, the support might go to that third person. So while he doesn’t want to do it, politically Edmonds’ only move here is to get on board with Ardoin. What he’d want to do is ask for some help in retiring that $170,000 campaign debt in return for smoothing over the rift, and while it’s perhaps a bit pie-in-the-sky to expect the whole amount covered he’d certainly get some. And he could get help in other ways – like having the party run interference for him by dissuading challengers next year, or lining up support from all the institutional players. Edmonds’ record in the legislature makes that a pretty easy call; it’s the bitterness over this campaign which complicates things. Make that bitterness go away and recovery is possible. Well, he’s made the bitterness go away by making that endorsement, and now we can all love Rick again. He’ll be asking for a few bucks here and there to pay off that campaign debt, and coming across for him will help the conservative cause. So feel free to help him out – and keep a good conservative in the state legislature where we’ll need him for the next four years.